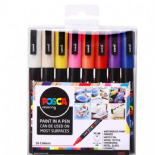 Posca's fine bullet tip is ideal for hobbyists for scrapbooking and for making greeting cards and table decorations. 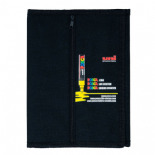 It is also suitable for artists to personalise clothes or objects. 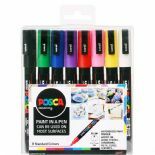 Great for writing on Chalkboard Labels and smaller Chalkboards and with the bright vibrant opaque colours children will also love it for colouring. Available in 32 colours, they can be bought individually, in one of our special packs we have put together, or treat yourself and save with the mega pack featuring all 32 colours.